The wire rope accessories are essential when it comes to having to perform actions and lifting operations often very delicate, in fact, the reason for this line of Robur Beta shows you the best articles from lifting necessary for those who perform this type of work and for private they need to lift weights safely. Recall that every single piece is tested and that the same is done in accordance with specifications and internal rules in reference to UNI EN ISO 9001. It is a specific treatment with natural and mechanical processing which makes sure all the accessories for cables able to lift specific weights. Among the various items you can buy: turnbuckles and component parts, steel articles, fixing accessories, lifting straps and anchoring systems, lifting hooks, shackles, thimbles and clamps, eyebolts, Miscellaneous and special items such as carabiners, hooks, clamps , crickets, all for a perfect anchor and lifting. You can also find interesting the purchase of the duplex stainless steel terminals that are of interesting accessories for cables and represent maximum security. But even the plates for collars, pictures and hot galvanized plates to stop ropes among the novelties of the safety of those who work in the industry. 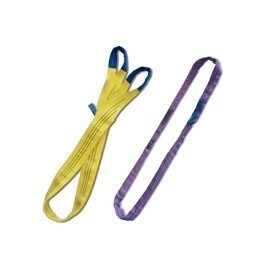 Interesting also the lifting hooks or swivel hanging chain, from 6 to 16 mm, depending on your needs.